Barrique - Delicacies & Drinks in Den Bosch. Liquid refreshments, with or without alcohol, and the most beautiful bottles to tap them into. 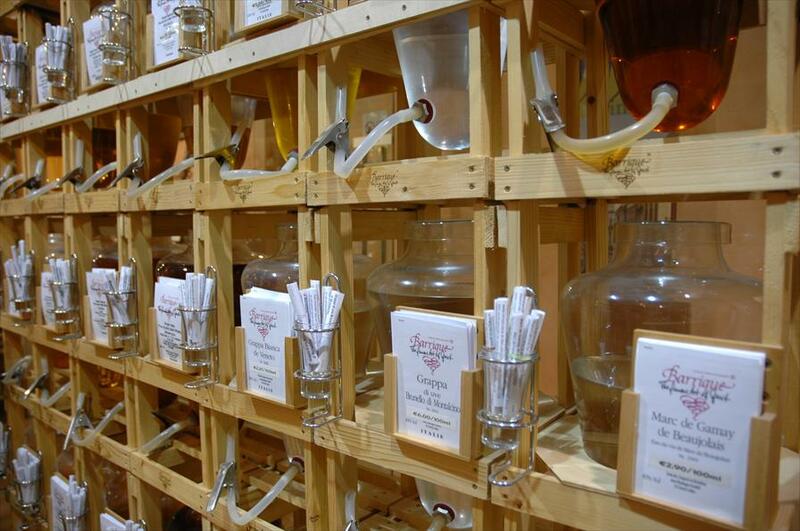 Wines, liqueurs, whisky’s and a number of other distills, oil and vinegar. And delicious delicacies to accompany them. ‘This brandy was bottled especially for Mr. Jansen’ can be printed on the bottle, which is filled on the spot. A fun idea for a (business) present. But it would also look good on the dresser at home. Barrique buys complete barrels of whisky from Scotland, out of which it can be freshly draught , starting at 100 ml. There are special tasting sessions for the whisky’s, which are worth the effort. Benny and Nicole Bouwmans’s expertise is unparalleled. Barrique has a Mediterranean ambience, and that is how it smells. Wonderful. 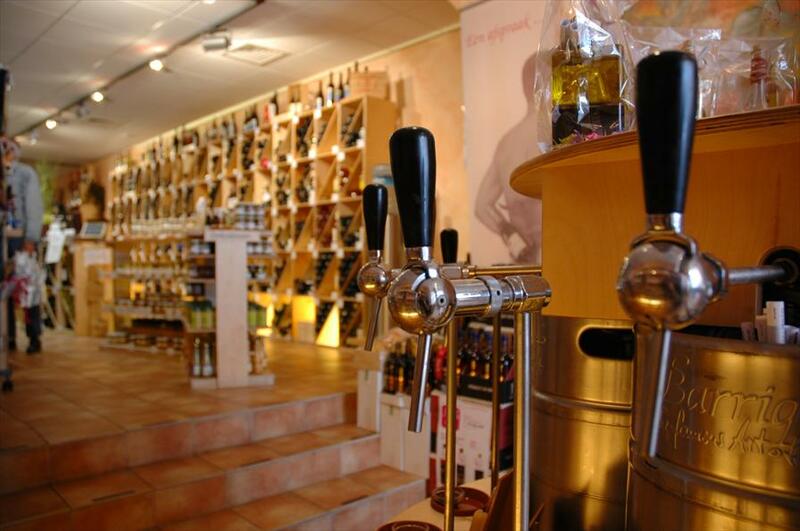 The almost 100 liqueurs and distills are contained in glass amphora’s, which gives the store a very specific look. Customers’ quotes: “We’ve been in Den Bosch for two hours now, and we haven’t gotten past the Vughterstraat.” No wonder, with this many specialised stores. Food and drinks, that’s what Benny and Nicole Bouwmans’ lives have been all about. And that’s what they will always be. Barrique develops, produces and bottles nearly all of its products themselves.